We're nearly four weeks into Oregon's legislative session and, while it's still too early to read the tea leaves, prospects look hopeful for OSEIA's major policy priorities this session. The House Environment and Natural Resources Committee tentatively scheduled a mid-March hearing for two OSEIA priorities—extending the Residential Energy Tax Credit (RETC) and extending the property tax exemption for solar. To prepare, OSEIA's executive director, Jeff Bissonnette, spent part of last week in Salem. He heard good feedback in a round of lobby meetings with legislative leadership and with every member of the environment committee. Legislators are contending with a $1.7 billion state budget deficit this year, so any legislation that costs money, including all tax incentives, faces an uphill battle. That's why OSEIA is organizing to ensure that solar tax incentives not only pass committee votes, but do so with bipartisan support. 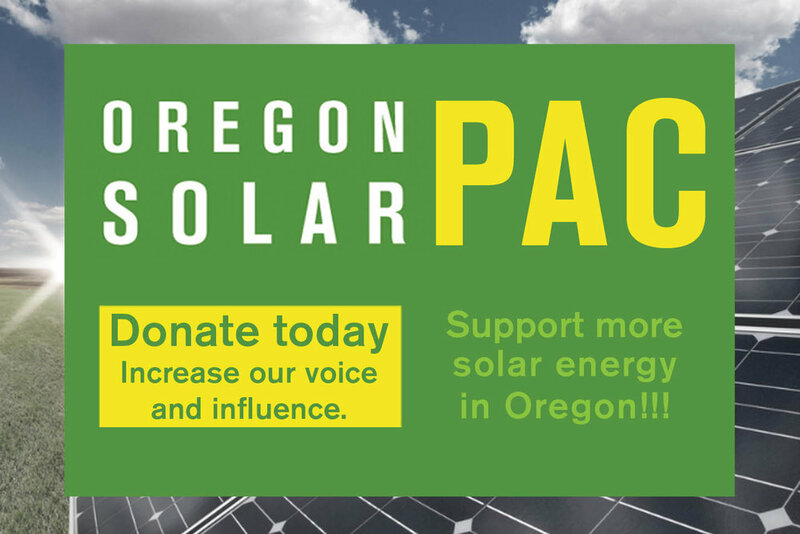 Next week we'll hold a capitol press conference to release the Oregon Solar Plan, which establishes a bold vision for substantial growth in Oregon solar power and solar jobs over the next ten years. We're also activating our membership in key districts to reach out to legislators. Please help us by signing up 1) OSEIA’s biggest Solar Lobby Day in the capitol on Monday, April 17th, and 2) our Solar Army of online rapid responders. Please sign up for both here.